Coming from eastern Canada and living in northern Manitoba for two years, I know what it means to be cold! I’ve experienced -60°C, freezing eyelashes, and difficulty breathing from the frigid weather. If I had to endure those temperatures again, I would become a hibernating bear that didn’t venture outside until the thaw. Luckily, in southern California I don’t need to worry about frostbite or bundling up, but for those of you new parents who are still experiencing those winter blues, I’ve found the perfect product to give you and your baby a breath of fresh air. At Snug Science, they develop the finest baby products in synergy with the active parent lifestyle. 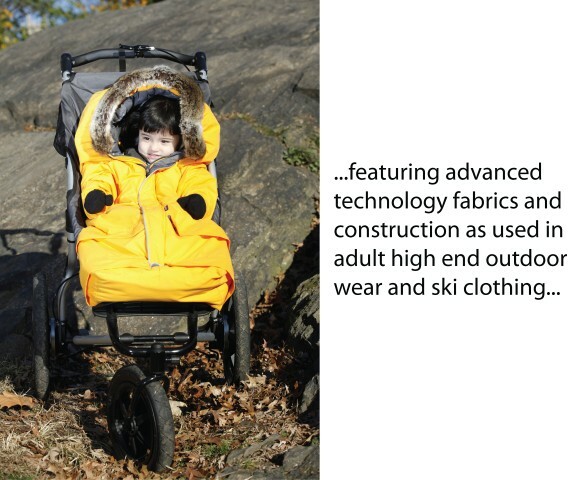 Their use of intelligent designs, high quality, performance materials, and expert manufacturing will inspire parents to start or continue their outdoor lifestyles. The Snug² is a new baby bunting made of the highest quality fabrics (the same as those used by high end outdoor wear companies for adults). 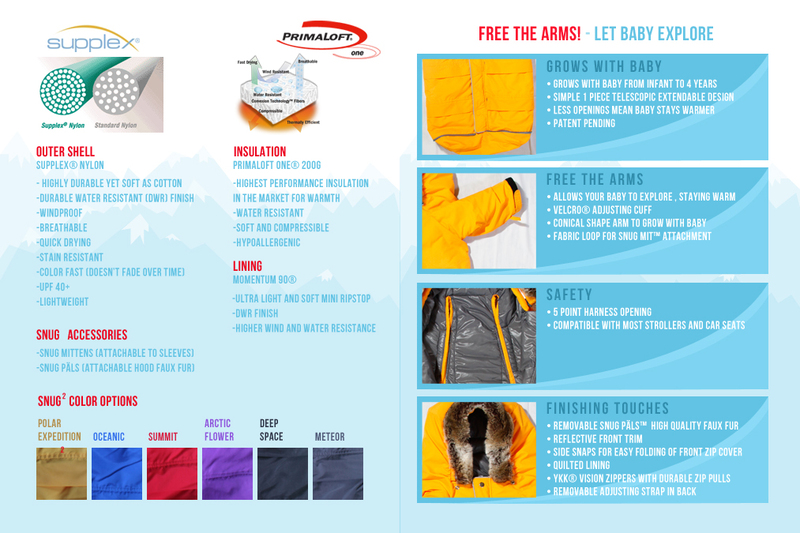 It is the first baby bunting bag in the market to feature a PrimaLoft ONE lining, which is best in the market for warmth and compressibility. 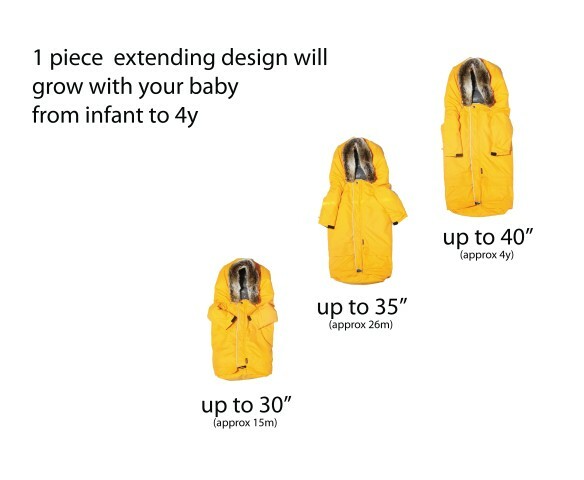 The simple, one piece telescopic extendable design grows with the baby making it suitable for infants through 4 years. It’s both weatherproof and breathable and insulated with only the best in the market… Primaloft ONE. The five point harness openings are compatible with most strollers and car seats for versatility and safety. 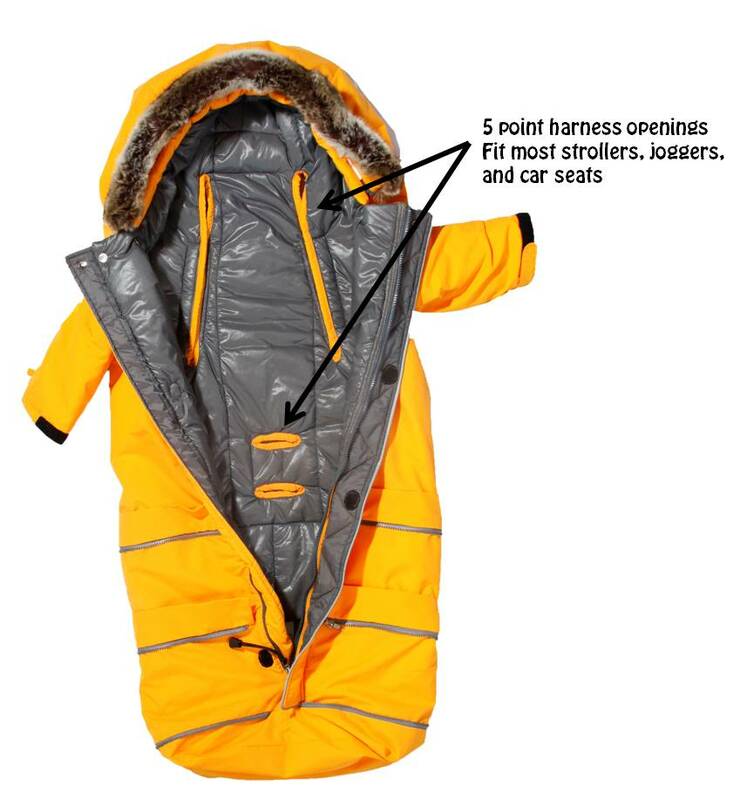 The finishing touches include: removable high quality faux fur, reflective front trim, side snaps for easy folding of front zipper cover, quilted lining, and removable adjusting straps in the back. Through designing high quality products to inspire an active family lifestyle, Snug Science helps create a brighter and healthier future. 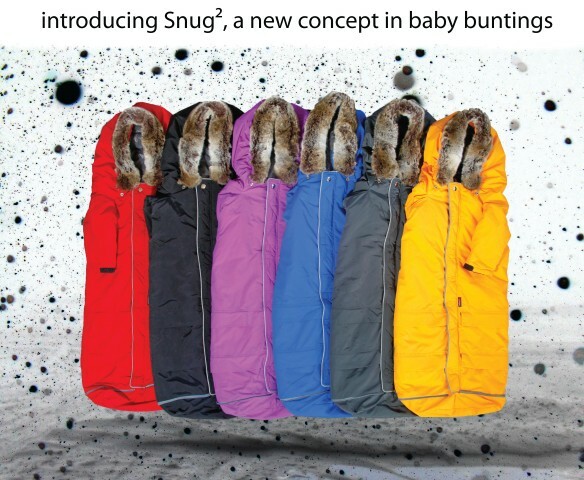 The Snug² comes in 6 colors with matching mittens and can be purchased at Snug Science. Here’s your chance to win a Snug² ($249 value) for the child in your life or it’d make a great gift! One (1) lucky reader will be selected at random on February 9th, 2012! The winner can simply go to Snug Science, choose the color they’d like, and go through the checkout. At checkout, they simply add the product code, that I’ll supply to them, and the purchase and the shipping will be on Snug Science. 1. “Like” this post, then leave a comment below telling me you have done this. 2. Follow Snug Science on Facebook, then leave a comment below telling me you have done this. 3. Tweet about this giveaway, include a link to your tweet, then leave a comment below telling me you have done this. 4. Follow me on Twitter, then leave a comment below telling me you have done this. 5. Subscribe to this blog, then leave a comment below telling me you have done this. 6. Follow me on Facebook, then leave a comment below telling me you have done this. 7. Reblog about this giveaway, include a link to your blog, then leave a comment below telling me you have done this. Bonus entries: For every person that you get to follow my blog and leave a comment below (with your name and blog information), I will give you TWO entries! This entry was posted in Baby Product Reviews, Family, Product Reviews, Travel, Uncategorized and tagged Adrenaline, adventure, Babies, Baby, Baby Product Reviews, Baby Products, backpacking, Canada, Children, Contest, culture, Europe, Family, Giveaway, Giveaways, life, love, New York, Newborn, Newborn Products, otudoors, photo, Snug Science, travel, USA, Win by lesleycarter. Bookmark the permalink. And now I’ve liked you on Facebook. did all of the requirements & then some! Hi there! What an awesome giveaway! I have two toddlers and am excited about this product! Great! It is perfect for the toddler years! I liked Snug Science on FB! Neat post! Will be cool to see how it works out. Good luck, fellow traveler! Lesley, I have just performed steps 1,2,3,4,6, & 7–I was already subscribed to your blog here so that was step number 5 completed! My website is http://granbee.wordpress.com. I had been posting since late November a large portion of my current book series project, adult fairytale/allegory that carries many critterly and exceptional-folk together as friends in a special spiritual quest for peace, going ever eastward through many countries, climes, and cultures. You have been so many places,done such worthy work for mankind in faraway places, that I would love your feedback on some of my poetry posts. My friend sent me this link and WOW!!! My husband and I live in Calgary and love the outdoors. We took our little girl camping when she was 6weeks old:) and now that winter is here, taking her snowshoeing (she is 6mnths now) is one of our favorite things! My husband and I will be looking at your products very soon! Very cool! Would be perfect for my niece who has two little ones in diapers. I was ready to fire off an email to my daughter to alert her to this nice giveaway. (Your love of travels and your adventurous spirit remind me of my daughter, actually.) She loves products like this and who doesn’t love a freebie?! Then I realized she would have no use for this since she and her family live on a sailboat and are currently in the Bahamas. 🙂 I may pass it along anyway…who knows, she might come visit us in the North and need something like this. Thanks for the nice offer! I’ve been on the hunt here in Wiesbaden for such a sack that would fit my 3 yr old when we walk around town. Coming from South Texas to Germany in the middle of winter has SHOCKED her little system just a tad! I just reblogged it on my post http://www.globalfamilytreks.com. Great to see everyone checking out the product, we are big aficionados of quality clothing for outdoor wear and are very excited to have developed this product over the years to bring these features to the baby market. As parents of a 21m old with an active lifestyle we have had plenty of experience and user perspective! 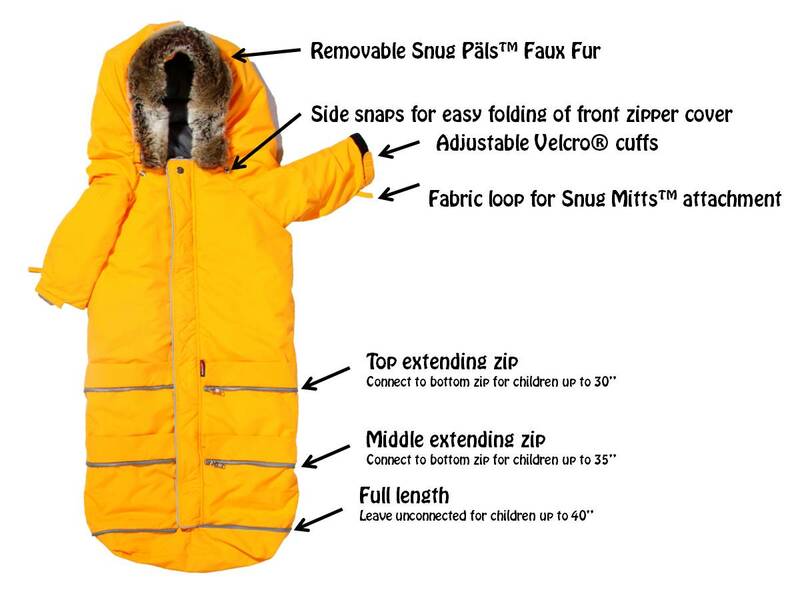 Check out our blog on winter wear at http://parenthlete.com/2012/01/16/the-science-of-staying-warm/ and remember to ‘Like’ Snug Science on Facebook to get all the latest news! Thanks for your recommendations. I don’t have kids myself, but I know people who do. You are a great wealth of information. Oh. My. Goodness! This is adorable!!! I could totally move up North when my husband retires if I could put my babies in one of these! Congratulations on becoming a mother! You are in for some great traveling fun, and you have the adventurous spirit to do it. I look forward to reading about your travels with your new baby. You’ve got the coolest blog. I love the product .. I live in Maine and have a 4 year old daughter and she loves snuggly stuff like this! I wish there would have been something this snug for babies when my children were young. Wonderful product Lesley ! Thanks for liking my post btw, God bless ! I wish I was a baby again! 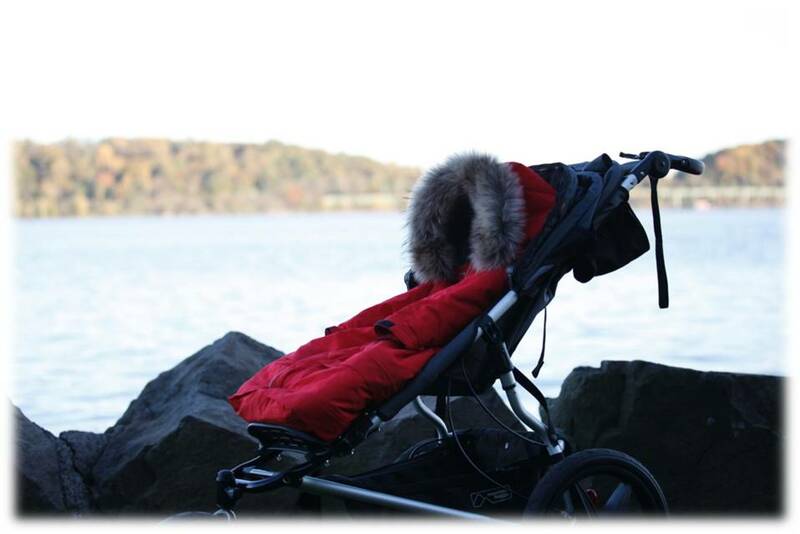 Seriously, want one of these for my very soon to arrive first bambino, thanks for posting, will look into one! ARH! thats so nice! I love it! It would be awesome if they had one in adult I bet its nice warm! Wow, these look great! I like your facebook page, the Snug Science page and your blog. Cheers! My sister is living out in the Canadian prairies – I am sure that would be something her little baby girl would find useful when walking her big brother to school! Already following but will pass it on!